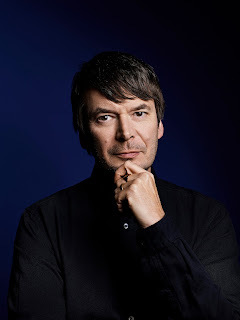 The Orion Publishing Group, which has published Ian Rankin since the company was founded 25 years ago, is working with a range of partners to create an unforgettable weekend, offering fans the chance to step into Rebus’s world. The Edinburgh International Book Festival is proud to be the main partner of RebusFest and Waterstones are the official bookseller for the festival. Other supporters include National Museums Scotland, the City of Literature Trust, Edinburgh International Film Festival and Highland Park. • A Night Out with Rebus at Queen’s Hall, an evening of spoken word and live music from Ian Rankin and friends, exploring the relationship between Rebus and music. • A special screening of Ian Rankin’s Reichenbach Falls (2007), followed by a Q&A with Ian Rankin, at the Filmhouse in partnership with the Edinburgh International Film Festival. • Making a Detective With Ian Rankin and Special Guests in partnership with the Assembly Rooms: an evening delving into the world of Rebus, finding out what makes him tick, his background and origins and the inspiration for the character a panel of experts will discuss Edinburgh crime past and present, and what really goes on in a police investigation. Running across the weekend in addition to events and panels are Rebus walking tours, Highland Park whisky tastings at the Caley Bar, exhibitions and museum trails. The City of Literature Trust is running community events and taking to the streets with special surprises around the city. The Writers’ Museum is hosting a special Rankin/Rebus exhibition, which opens at RebusFest and continues across the summer. The National Museum of Scotland will be holding a talk on the Arthur’s Seat Coffins – the exhibition that inspired THE FALLS, and curating a ‘Museum Noir’ trail of mysterious and murderous objects from the museum’s collection. With activities and events that reflect all facets of the irascible old rogue RebusFest is guaranteed to be a fun-filled, entertaining and revealing weekend and a must for all crime fans.